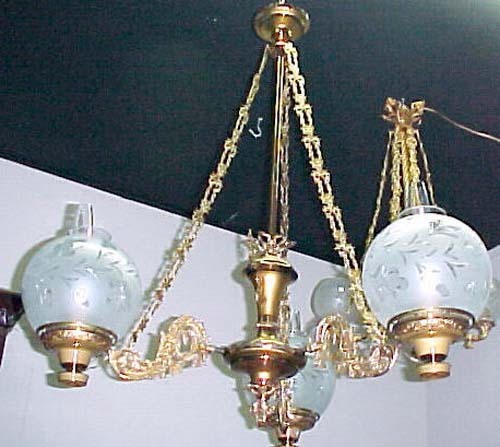 This is a rare solar or astral chandelier. 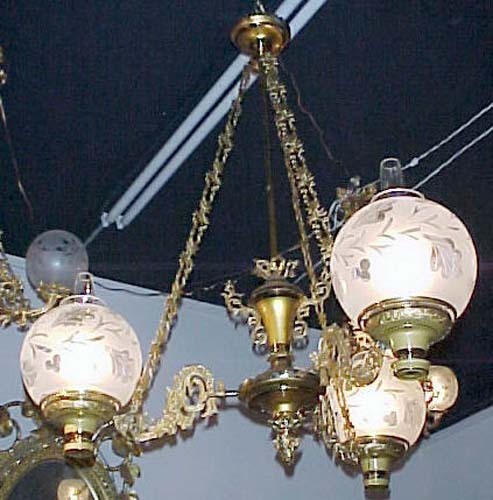 Dates from 1840, & has been professional restored. 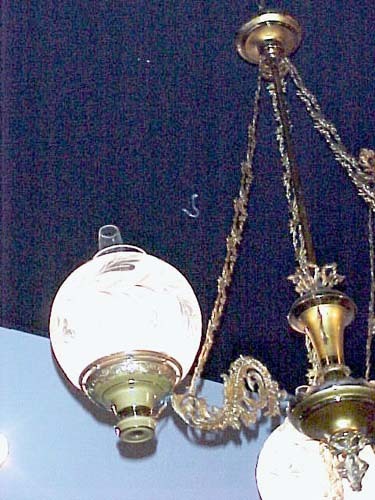 There is a patina over the brass that is exactly what would have been used when the fixture was new. 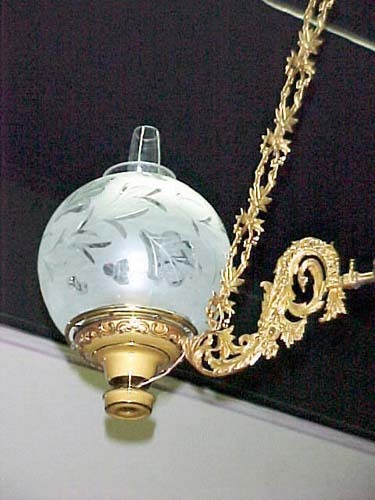 The 3 frosted and etched globes are in the shape of & cutting of period globes but are authetic copies. Condition is excellent.